This year's edition of Glastonbury at Worthy Farm will not have any plastic bottles on sale. 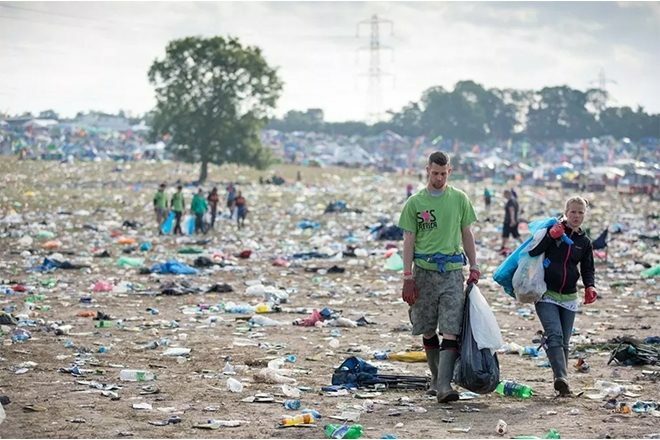 Festival attendees will not be barred from bringing plastic bottles on site, but Glastonbury is taking an active role this year in encouraging everyone to bring reusable water bottles with them and will not be providing backstage, production, catering, or dressing room areas with any single-use plastic bottles as well. There will be numerous water taps across the site for revelers to refill their bottles and every bar at the festival will be offering free water to attendees. While festival-goers won’t be stopped from bringing plastic bottles on site, they are being encouraged to bring a reusable water bottle with them, which can be refilled at the numerous water taps across the site. Free drinking water will also be available from every bar. Glastonbury 2019 takes place between June 26-30 at Worthy Farm. Check out the line-up here.